VAUXHALL 58 25 259. VAUXHALL 93190367. VAUXHALL ZAFIRA Mk II (B) (M75) 1.6 07/2005 -. VAUXHALL ZAFIRA Mk II (B) (M75) 1.6 12/2007 -. OPEL ZAFIRA B (A05) 1.6 07/2005 -. Hyundai i30 2.0 Crdi 5/2007 - 7/2010. 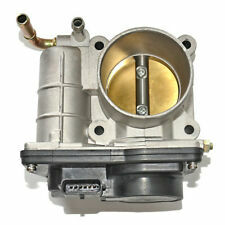 THROTTLE BODY D4EB FOR 05-10 HYUNDAI SANTAFE SONATA TUCSON GRANDEUR KIA RONDO. - Hyundai Santa Fé 2.2 Crdi 11/2005 - 9/2009. - Hyundai Tucson 2.0 Crdi 4/2004 - 3/2010. (IMPORTANT NOTES: from MY: 05/2008; To: 04/2009. IMPORTANT NOTES: from MY: 02/2009; To: 04/2013. 1796 150 204 M 271.860 Coupe. 169.331) 09/2004 -. IMPORTANT NOTES: To: 04/2013. M 271.820 Coupe. 1796 135 184 M 271.860. VDO A2C59511698. VDO -A2C59511698. New Fit AUDI A4 1.9 2.0T A6 2.0 TDI VW PASSAT 2.0T THROTTLE BODY 03G128061A. Audi A4 B6 1.9 TDI. Audi A4 B7 2.0 TDI. AUDI 03G 128 061 A. AUDI 03G 128 063 C. AUDI 03G 128 063 J.
OPEL 55562270. AVEO Hatchback (T300) 1.2 A 12 XEL. AVEO Hatchback (T300) 1.2 A 12 XER. AVEO Hatchback (T300) 1.4 A 14 XER. AVEO Hatchback (T300) 1.2 LPG A 12 XER. AVEO Saloon (T300) 1.2 LPG A 12 XER. AVEO Saloon (T300) 1.2 A 12 XER. Ford 4M5G9F991FA. FORD MONDEO IV Saloon (BA7) (2007/03 - /). MONDEO IV Saloon (BA7) 2.0 LPG TBBA 1999 107 145 Saloon 09/07 - 14/09. MONDEO IV Saloon (BA7) 2.0 TBBA 1999 107 145 Saloon 07/03 - 14/09. FORD MONDEO IV (BA7) (2007/03 - /). Renault Twingo C06_ 1.2 16V. Renault Twingo I MK I 1.2 16V. Renault Kangoo KC0/1_ 1.2 16V. Renault Thalia LB0/1/2_ 1.2 16V. Renault Clio MK II 1.2 16V. Renault Clio MK III 1.2 16V. Renault Modus/Grand Modus F/JP0_1.2 16V. 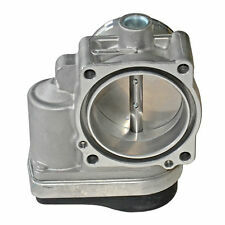 4F9U9E928AC 1556736 Throttle Body For Ford Focus MK 2 Fiesta V MK 4 Mondeo. Ford Fiesta V 2005 MK V [2001-2010] Hatchback Hatchback ST150 1999ccm 150HP 110KW (Petrol). Ford Fiesta V 2006 MK V [2001-2010] Hatchback Hatchback ST150 1999ccm 150HP 110KW (Petrol). 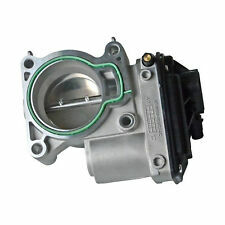 Throttle Body 5PIN FOR Audi A6 2.7 TDI 3.0 4F C6 2004-2008. Audi A6 (4F2, C6) 2.7 TDI,3.0 TDI quattro;Engine: BPP,BMK,ASB,CAND,CANB,CDYB, 2004-2011. Audi A6 Avant (4F5, C6) 2.7 TDI,3.0 TDI quattro;BPP,BMK,ASB,CAND,CANB,CDYB, 2005-2011. 1556736 Throttle Body 60mm For Ford Fiesta MK V ST150 Hatchback 4M5U9E927DC. Ford Fiesta V 2005 MK V [2001-2010] Hatchback Hatchback ST150 1999ccm 150HP 110KW (Petrol). Ford Fiesta V 2006 MK V [2001-2010] Hatchback Hatchback ST150 1999ccm 150HP 110KW (Petrol). Renault Kangoo 1.6 16V [1997-2017] MPV 1598 95 70. Renault Clio MK II 1.6 16V [1998-2016] Hatchback 1598 107 79. Renault Laguna MK II 1.6 16V [2001-2016] Hatchback 1598 107 79. Renault Laguna MK II 1.8 16V [2001-2016] Hatchback 1783 116 85. AUDI A4 (8E2, B6) 1.9 TDI 04.04-09.04 85 116 1896. AUDI A4 (8EC) 1.9 TDI 11.04- 85 116 1896. AUDI A4 (8EC) 2.0 TDI 05.06-08.07 125 170 1968. AUDI A4 (8EC) 2.0 TDI 02.07-08.07 103 140 1968. AUDI A4 (8EC) 2.0 TDI 02.07-08.07 100 136 1968. 038 128 063 G / 038128063G. OPEL 93190367. VAUXHALL 93190367. VAUXHALL 58 25 259. VAUXHALL ZAFIRA Mk II (B) (M75) 1.6 07/2005 -. VAUXHALL ZAFIRA Mk II (B) (M75) 1.6 12/2007 -. Fiesta MK6 Throttle Housing Assy. Focus 1.4 Throttle Housing Assy. Fusion 1.25L Throttle Housing Assy. C-Max 1.6 Throttle Housing Assy. FORD FOCUS, C-MAX. FORD 1333604. FORD 1358593. FORD 1404858. CITROEN 1635. Z8 / 1635Z8. CITROEN 1636.37 / 163637. FOR PEUGEOT 206 307 308 1007 CITROEN BERLINGO C2 C3 NEW THROTTLE BODY--1636.37. Citroën Berlingo / C2 / C3 / C3 Pluriel / C4 I / Xsara. VDO - A2C53099814 / A2C53099814. Audi A2, VW Fox, Polo, Seat Cordoba, Skoda Fabia. SKODA - 045 128 063 D / 045128063D. SKODA - 045 128 063 G / 045128063G. Skoda Fabia 2007 -- [2006-2014] Estate 1.4 TDI 1422ccm 70HP 51KW (Diesel). V70 II (SW) 2.0 T B 5204 T5 1984 132 180 Estate 01/07 - 07/08. S80 I (TS, XY) 2.0 T B 5204 T5 1984 132 180 Saloon 99/12 - 06/07. V70 II (SW) 2.3 T5 B 5234 T3 2319 184 250 Estate 00/03 - 04/08. S60 I T5 B 5234 T3 2319 184 250 Saloon 00/11 - 10/04. SKODA 03G 128 063 A. SKODA 03G 128 063 G. SKODA 03G 128 063 M. SKODA 03G 128 063 Q. SKODA OCTAVIA (1Z3) 1968 140 103 2005/11 ->. SKODA OCTAVIA Combi (1Z5) 1968 140 103 2005/11 ->. SKODA ROOMSTER (5J) 1422 80 59 2006/09 -> 2010/03. VDO A2C53090824. SPRINTER 3-t Bus (906). SPRINTER 3-t Bus (906) 211 CDI (906.711, 906.713). SPRINTER 3-t Box (906). SPRINTER 3-t Box (906) 211 CDI (906.611, 906.613). SPRINTER 3-t Box (906) 209 CDI (906.611, 906.613). Hyundai Tucson 2.0 Crdi 4/2004 - 3/2010. - Hyundai Santa Fé 2.2 Crdi 11/2005 - 9/2009. - Hyundai Ix55 3.0 Crdi 10/2008 - 01/2012. - Hyundai i30 2.0 Crdi 5/2007 - 7/2010. - Hyundai Grandeur 2.2 Crdi 7/2006 - 10/2010. If your Seat Arosa Cordoba Ibiza Leon Skoda Fabia 1.4 16V 19 has problem with the Throttle Body. SKODA FABIA (6Y2) 1.4 16V. SKODA FABIA Combi (6Y5) 1.4 16V. SKODA FABIA sedan (6Y3) 1.4 16V. SKODA 036 133 062 A. 038 128 063 G / 038128063G. 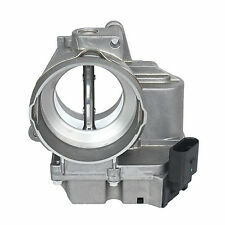 For Audi Seat VW Skoda 1.9 2.0Tdi AZV BKD BKC Throttle Body 038128063 G F P L M.
VW 059145950R. AUDI A6 (4F2) 2.7 TDI. AUDI A6 (4F2) 2.7 TDI quattro. AUDI A6 (4F2) 3.0 TDI. AUDI A6 Avant (4F5) 2.7 TDI. AUDI A6 Avant (4F5) 2.7 TDI quattro. AUDI A6 Avant (4F5) 3.0 TDi. AUDI A6 Avant (4F5) 3.0 TDI quattro. Volvo 8677658. Volvo 30711554. VOLVO S60 I 2.0 T 07/2000 -. VOLVO S60 I 2.4 T 11/2000 -. VOLVO S60 I 2.4 T5 04/2004 -. VOLVO S60 I 2.4 T AWD 11/2001 -. VOLVO S60 I 2.5 AWD 09/2003 -. VOLVO S60 I 2.5 T 02/2004 -. Audi 036 133 062 B， 036133062B. Throttle Body Fits Audi Seat Skoda VW 1.2 12V 1.4 16V 036133062L / 0280750057 New. SEAT - CORDOBA (6K2) - 1.4 16V. SEAT - CORDOBA Vario (6K5) - 1.4 16V. SEAT - CORDOBA (6L2) - 1.4 16V. 1 x THROTTLE BODY OE QUALITY 2 YEAR WARRANTY FITS PLEASE SEE COMPATIBILITY TABLE ABOVE PLEASE LEAVE VEHICLE REGISTRATION NUMBER AFTER PURCHASE TO AVOID ANY DELAYS IN THE DELIVERY PROCESS!. 2003-2005 BMW Z4. 2001-2002 BMW Z3. 2005 BMW X3. 2001-2005 BMW 325Ci. 2001-2005 BMW 325i. 2001-2005 BMW 325xi. 2001-2005 BMW 525i. 2011 Buick LaCrosse CX 2.4L L4 - Gas. 2011 Buick LaCrosse CXL 2.4L L4 - Gas. 2010 Buick LaCrosse CX 2.4L L4 - Gas. 2011 Buick Regal CXL 2.4L L4 - Gas. 2011 Chevrolet Equinox LTZ 2.4L L4 - Gas. 2011 Chevrolet Equinox LS 2.4L L4 - Gas. Chrysler 04891735AC. 2007-2012 DODGE CALIBER WITH 1.8L 2.0L 2.4L. Chrysler 4891735AC. 2007-2016 JEEP PATRIOT WITH 1.8L 2.0L 2.4L. 2007-2016 JEEP COMPASS WITH 1.8L 2.0L 2.4L. 2011-2016 CHRYSLER 200 WITH 1.8L 2.0L 2.4L. 2009-2014 Audi R8 Base Coupe 4.2L V8. 2011-2014 Audi R8 Spyder Convertible 4.2L V8. 2007-2011 Audi S6 Base Sedan 5.2L V10. 2005-2009 Audi A6 Base Sedan 3.2L V6. 2000-2004 Audi A6 Quattro Base Sedan 2.7L V6. Chrysler 4891735AC. Jeep Dodge THROTTLE BODY FOR2007-2016 Chrysler 1.8L 2.0L 2.4L Caliber 04891735AC. Chrysler 04891735AC. 2007-2016 JEEP PATRIOT WITH 1.8L 2.0L 2.4L. 2007-2016 JEEP COMPASS WITH 1.8L 2.0L 2.4L. Audi A7 [2014-2015]. Audi Q5 [2008-2015]. Audi A5 [2007-2015]. Audi A8 [2012-2013]. Audi A3 [2004-2015]. Audi A3 Limousine [2013-2015]. Audi A6 [2005-2015]. Audi A4 [2004-2015].